It’s that time of the year when families and friends start jetsetting around the globe to visit with loved ones for the holidays. The bustling airports and packed highways are filled with packed suitcases. If you want to ensure that you get your belongings at your end location or to make sure nothing gets lost, you will need a luggage tag. 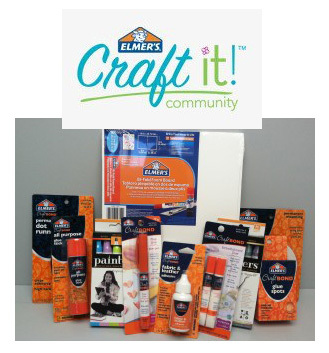 It’s so easy to create one yourself with just some scrap fabric, cardboard, and Elmer’s CraftBond Fabric and Leather Glue. Check out the simply tutorial below and start making one for yourself or make one as a great holiday gift with very low cost. 1. Cut two pieces of cardboard. Each piece should measure 4 1/2″ x 3″. On one piece you will cut out the center to create a frame. The center should measure 2″ x 3 1/2″ to fit a standard business card. 2. 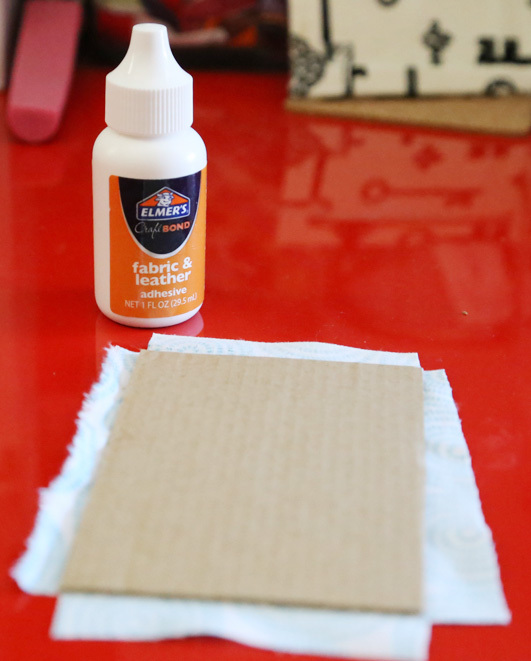 Cover your cardboard with Elmer’s CraftBond Fabric and Leather Glue. It is best to use a brush to get an even layer. Cut out your corners as the photo below shows. This will make it easier to fold your corners in and neater. 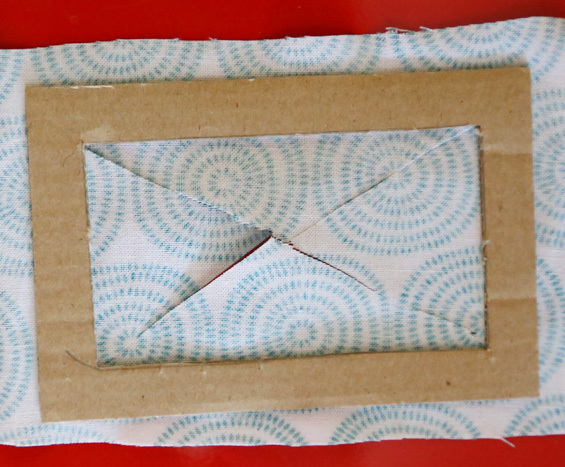 Fold over the edges and glue them to the cardboard as well. 3. 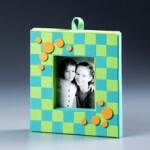 On the Frame piece, you will do the same process of layering glue and centering the piece on the fabric. You will then cut an ‘X’ in the center to make the folding over the edges easiest. 4. You will then cut off the “peaks” of the triangles you created so that you don’t have any fabric hanging over the edge of the frame. Then brush on the glue and fold over each of the four sides, inside and out. 5. 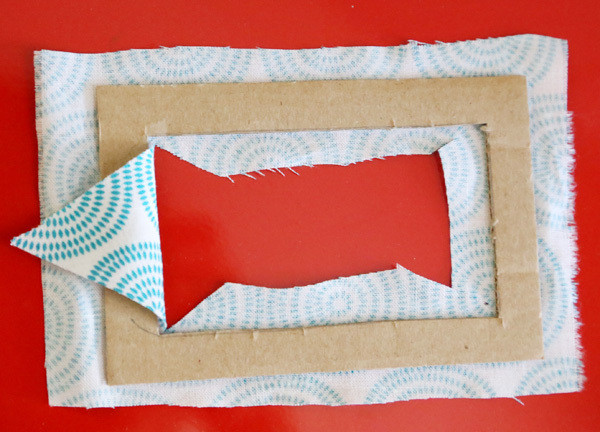 Place the 2 1/2″ x 4″ piece over the center of your cardboard base to cover the center. Glue in place. 6. Glue the frame to the top of the base, gluing only three sides so that you can slide in a card. It is best to glue just the edges so that there is plenty of room for the card. 7. Punch a whole in the glued short end, add ribbon. 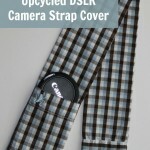 Be sure to use a loop large enough to feed the tag back through to secure it to your luggage. That’s it. 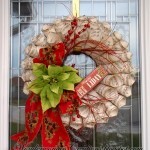 So simple and this craft took me about 15 minutes in total. 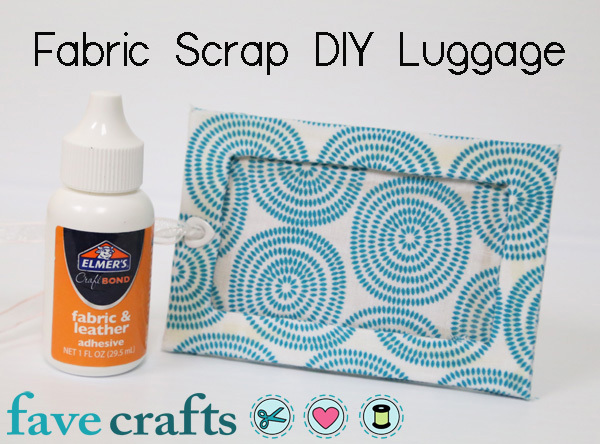 If you have scraps of fabric in your stash, this is the perfect craft. Craft Stores also sell scraps of fabric or smaller pieces, so it is still a very inexpensive craft if you need to purchase the fabric. Amazing All the subjects you cover, something for everyone. Very useful article for making your luggage stand out, as I have made my own tags before and were not quite as nice, sturdy or practical.